Dr. Mohammad Rashedur Rahman is working as a Professor in the department. Dr. Rahman got his Ph.D. in Computer Science from University of Calgary, Canada under the supervisor Dr. Ken Barker who served as a Department Chair, Computer Science and Dean of Science, University of Calgary, Canada. He has his Masters degree from University of Manitoba, Canada. During his graduate studies in both schools he has been awarded with a number of prestigious scholarships that include Queen Elizabeth II Fellowship (15,000 CAD) , Province of Alberta Graduate Fellowship (10,000 CAD), University of Calgary Research award (24,000 CAD for 3 Consecutive Years) , University of Manitoba Graduate Fellowship (64,000 CAD-declined for Ph.D. in University of Calgary), Departmental Research Award in University of Manitoba. He had also been awarded Deans Award in BUET and Entrance scholarship in BUET for securing 20th position in BUET admission test among 3500 students. Since his joining, Dr. Rahman have devoted himself completely in teaching and research with his students of his department. He has taught different ranges of courses, as well engaged himself with different Masters and Undergraduate research theses and projects. He had supervised more than 10 Masters Students in ECE Department. He also supervised undergraduate level thesis and capstone design project for a good number of students. Since his joining at NSU, he had worked as an external thesis examiner for more than 15 Master’s theses in BUET. He was also one of the Ph.D. committee members of a student who has been awarded Ph.D. degree in Computer Science and Engineering from BUET in 2018. He had published a good number of international journal articles and research papers in conference proceedings with the students of NSU. All of those papers are indexed in Scopus, ISI Web of Science, and Google Scholar. 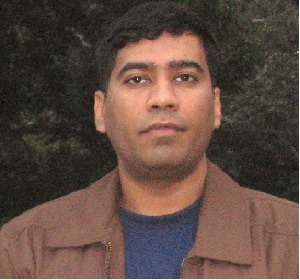 Some of his papers were published in renowned journals like Expert Systems with Applications by Elsevier, Journal of Parallel and Distributed Computing by Elsevier, Journal of Grid Computing by Springer, Journal of Information and Telecommunication by Taylor and Francis, Journal of Cloud Computing by Springer, Decision Analytics by Springer and so on. His published papers are well cited and a good number of citations from Google Scholar and Scopus has been recorded till to-date. Apart from teaching and research, he also engaged himself in reviewing funding projects that include both national and international level grant applications. He served as a reviewer of NSU internal research grant application. He also served as an external reviewer of a grant application amounting 50,000 Euro from Department of Water and Climate Risk, Virje University (VU), Amsterdam, Netherlands. Dr. Rahman also review and set different questions for Information Technology Engineers Examination (ITEE) examination organized by Bangladesh Computer Council under the umbrella of ICT Division, Ministry of Posts, Telecommunications & IT and JICA (Japan International Cooperation Agency). Bangladesh is one of the members of 7 ITPEC countries. With JICA’s invitation and sponsorship he attended question formulation workshop in Tokyo, Japan, 2015 . He also attended question formation meeting (QFP) in Ulaanbaatar, Mongolia in 2017 for ITPEC examination with joint sponsorship of JICA and GOB (Govt. of Bangladesh). He is serving as an editorial board member in a number of renowned journals and a program committee member of several conferences organized by ACM, IEEE and Springer.